Our active Stapleton Realtor will create your personal real estate report. Stapleton was once home to Denver´s municipal airport. Today, the airport is gone and has been replaced by what is being called “New Urbanism”. As a result, this is a blend of residential properties with shopping, arts, culture, and sprawling parks. In fact, 30% of the land mass at Stapleton is dedicated to current and future public parks. For instance, there´s a public art master plan for Stapleton. It calls for the development of participatory, interactive art, as well as traditional art displays. 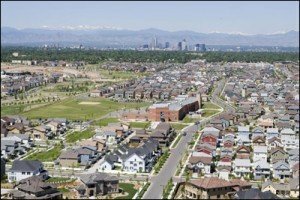 Now called the Stapleton Community, there are 9 neighborhoods, 9 schools, and at least 50 parks, shopping and business districts, and even a new visitor center. In 2016, Stapleton officially connected to the Denver metro area by RTD’s A line, a commuter rail service. 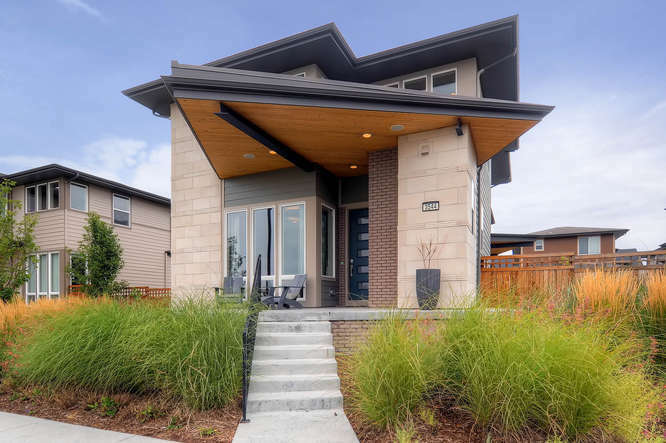 Typical Contemporary Home for Sale in Stapleton. The housing options range from apartments to lofts and condominiums, townhomes, cluster homes, and single family residences. The entire project is relatively new. It began after the airport closed but didn’t break ground for housing until the late 1990´s. Now, a wide variety of builders offer new home and resale homes are plentiful too. Styles range from condominiums and townhomes to affordable, single-family homes to luxury custom homes in the $1million range. Although yards are smaller by suburban standards, nearby parks and recreations centers are plentiful. Some builders have built truly contemporary homes that offer trendy and unusual finishes usually only found in luxury homes. Stapleton seems to be attracting residents who had lived in neighborhoods that were closer to downtown. They are drawn to the unique mix of housing along with urban sophistication. Developer Forest City calls it the “Urban Fusion” concept where residential homes are mixed with shopping, commercial buildings, restaurants and entertainment venues. It’s actually located in the City and County of Denver. So, it appeals to those who do not want to escape to the suburbs but still want modern, contemporary homes at an affordable price. Public schools here are well above average and new. In addition, parents like the choice offered by some magnet schools like the nearby Denver School of Arts for high school students. There is also the Denver School of Science and Technology at Stapleton. Elementary and middle schools are also highly rated and popular with Stapleton residents. Additionally, there are nearby private schools such as The Stanley British Primary School and Machebeuf Catholic school. 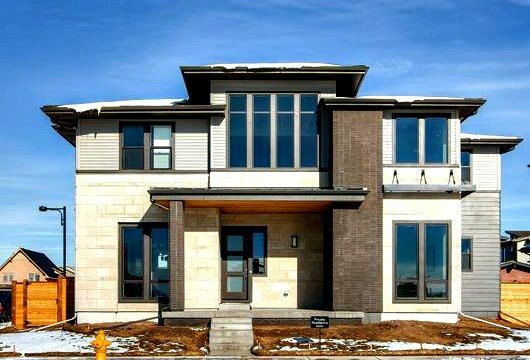 Brand new homes like this are available at Stapleton in Denver. Although similar to Lowry as a brand new urban development project, Stapleton is unique. First, there are fewer homes above $700,000 here. Most of these residences are high-density homes and condominiums. Secondly, both areas share a town center concept which incorporates shopping and amenities centralized in a “Town-Center Setting”. Thirdly, Stapleton is unique in that it incorporates an office park concept as well as some light industrial uses. Jason Cummings of Kentwood Real Estate and The Hotz Group has specialized in Stapleton homes for sale since 2009. 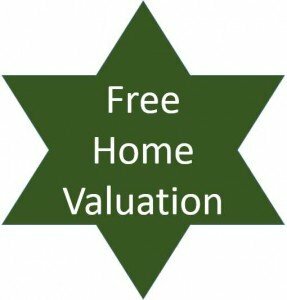 He has sold hundreds of homes in Stapleton. Have a question about Stapleton real estate? Please use our easy to follow form below and we’ll get back to you quickly!